The Wall Street Journal just dropped a shocker of a report: Google, the biggest Web advertising company in the world, is planning to build an ad blocker into Google Chrome, the world's most popular Web browser. The ad blocker will reportedly end up in the desktop and mobile versions of Chrome and would be switched on by default. If true, this report suggests a major conflict of interest for Google. 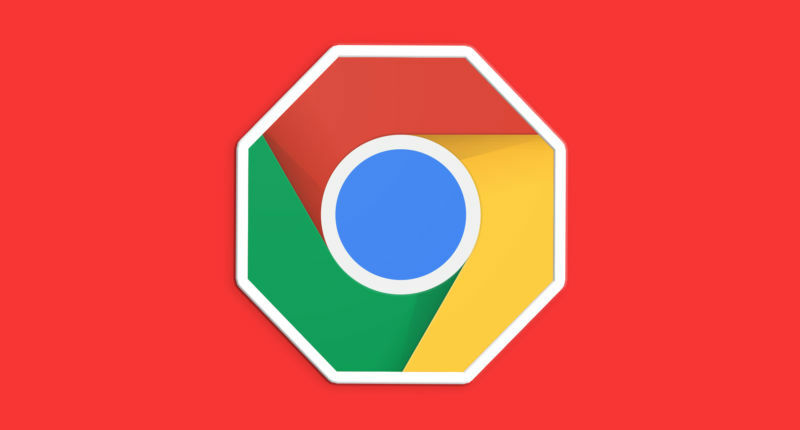 Today Chrome covers over 50 percent of the browsing market, according to Net Market Share, and Google would kill its income if it started blocking Google ads. Of course, Google won't block Google ads. Instead, according to the report, Chrome will target "unacceptable ads" as defined by the Coalition for Better Ads. The Coalition for Better Ads, which counts Google and Facebook among its members, has a page of "least preferred ad experiences" up on its website. This page calls out pop-ups, autoplaying video ads with sound, interstitial ads with countdowns, and large "sticky" ads as "below the threshold of consumer acceptability." The Journal notes "in one possible application Google is considering," Google could block all ads on a site that doesn't comply with the rules, rather than just block offending ads. Presumably this would stop websites from using a mix of "acceptable" and "unacceptable" ads with the hope that the "unacceptable" ads are seen by non-Chrome users, since they risk losing out on all revenue from all Chrome users. The report says "people familiar with the plans" describe the move as a "defensive" one. Ad blockers are gaining in popularity, and with Chrome's 50+ percent browser market share and auto-updating ability, the Chrome ad blocker would instantly become the most widely used solution out there. This would give Google control over the ad-blocking market, the ad industry as a whole, and even over its competitors, which offer many of the "unacceptable ad" formats the coalition is targeting. Third-party ad-blocking solutions like Adblock Plus actually charge websites money to display ads to Adblock Plus users, and Google is a member of this whitelist-for-cash program. Running its own ad-blocking program might shut out, or at least reduce, the fees the company pays to third parties like Adblock Plus. Chrome already blocks window-spawning pop-up ads, but the move to block even more ads would still be a counter-intuitive one. To beat the ad blockers, Google must become an ad blocker.